Today is the national observance of Equal Pay Day, a date that symbolizes how far into the year women must work to earn what men have earned in the previous year. According to 2016 statistics released by the United States Census Bureau, women are paid, on average, 80 cents for every dollar their male counterparts are paid. Furthermore, black women make 63 cents on that same dollar, Native American women make 57 cents, and Latina women make 54 cents for every dollar their male counterparts are paid. While the politics and policy of equal pay are debated both in the public forum and halls of Congress, there are steps leaders in the private sector can take to ensure they’re working toward diversity, equity and inclusion (DE&I) in the workplace. As Barri Rafferty, Global CEO of Ketchum said, "Society has a long way to go toward gender parity, but at the very least we should be ensuring equal pay for equal work." Ketchum is committed as an organization to ensuring we achieve global pay equity, and recently established a Diversity, Equity & Inclusion (DE&I) Advisory Board; a cross-functional, multinational team that works alongside outside expert counsel to set short- and long-term strategies and achieve predetermined goals. But the fact remains, on this Equal Pay Day, women still make up a small share of the leadership in the public and private sectors. The share of female CEOs of Fortune 500 companies reached an all-time high of 6.4% in 2017, with 32 women heading major organizations. But it fell to 4.8% in 2018 after several high-profile women left their posts. The rates are even more jarring for minority women; the lone woman of color leading a Fortune 500 company is Joey Wat of Yum China. The public sector only fares slightly better. Even though the 2018 U.S. midterm election propelled a record number of women into public office in all levels of government, female representation in the U.S. Congress still only hovers at 24%. We can and must do better. 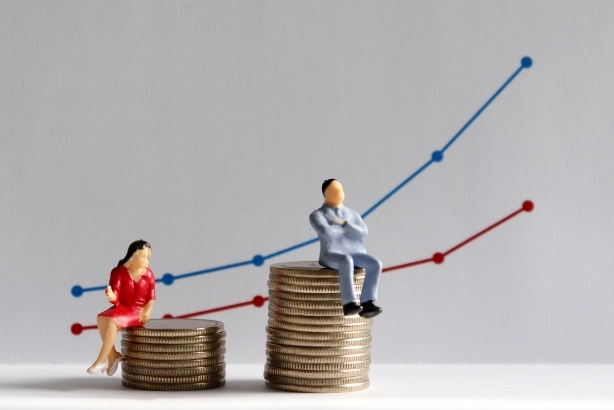 On this Equal Pay Day, here are a few key strategies to help ensure your organization is implementing needle-moving diversity, equity and inclusion initiatives. First, get the data. To close a gap, you need to know how big it is and what’s causing it. Many organizations don’t have data on the diversity of their talent pipeline or their workforce over time. As a result, they can’t accurately identify problems or launch strategies to solve them. Many organizational consultants recommend both qualitative and quantitative data to get a full assessment of equity in the workplace. Softer data, such as employee perceptions, can give an early indication of future obstacles. Harder data, such as establishing clear and appropriate metrics regarding the recruitment, retention, advancement and representation of women in all business units and functions – alongside equal pay – can be used to measure progress over time and provide the data needed to close the gap. Treat DE&I like any other business imperative. Like any transformation, this sort of change takes time, particularly with the initiatives that improve diversity at higher levels. A program launched today for gender parity and equal pay may not recognize its full goals for years. Organizations must proactively own their DE&I agenda and manage it like a true business priority. As a marketplace leader in Washington, D.C., it is important to me that my colleagues understand that DE&I is a core part of our operations, and we include community programming updates in our monthly town hall meetings to spotlighting talent and client work that is having an impact. Be transparent. Being a changemaker requires the ability to have courageous conversations and admit when there are areas for improvement. It’s important to get the data, but it’s just as important to share the data and ask your workforce to hold yourself accountable. Progress does not require perfection, and there are bound to be challenges along the way as organizations combat unconscious bias, talent retention issues, marketplace competition for talent, and structural issues within the public and private sector. Being transparent about your journey and sharing the successes and challenges will benefit us all as organizations grapple with implementing strategies that positively impact DE&I. Research has proven that organizations with gender balanced and diverse workforces and leadership are more creative, innovative and resilient, and the women within these companies have higher levels of engagement and ambition. If your organization hasn’t already implemented its DE&I strategies, there is no better time than the present to get started. KayAnn Schoeneman is director, Public Affairs, at Ketchum and serves as marketplace leader for the firm in Washington, D.C. Follow her on Twitter at @kschoeneman.